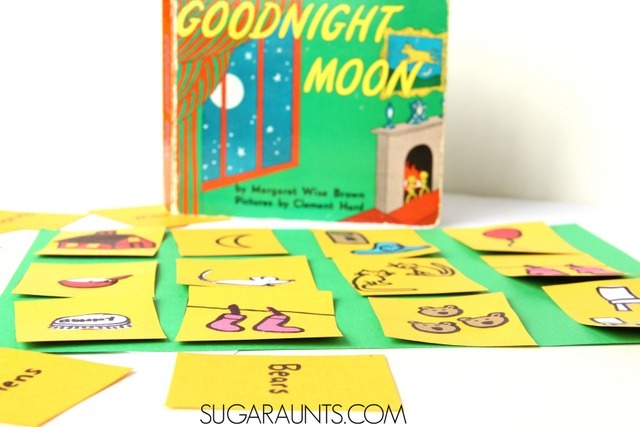 Today we're bringing you a Goodnight Moon activity with our DIY Goodnight Moon inspired Memory Game as part of our Preschool Book Club series. 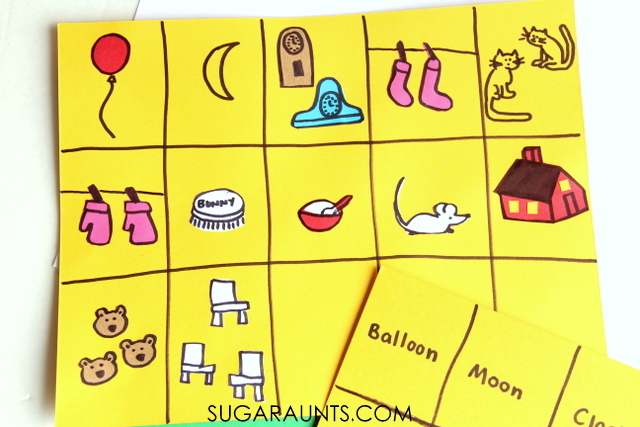 Our memory game inspired by Goodnight Moon has been played almost as many times as we've read the book! 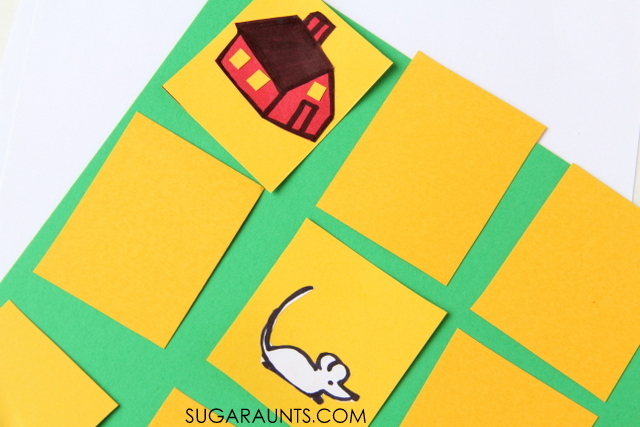 We decided to create a free printable to go along with our memory game, so you can play, too. 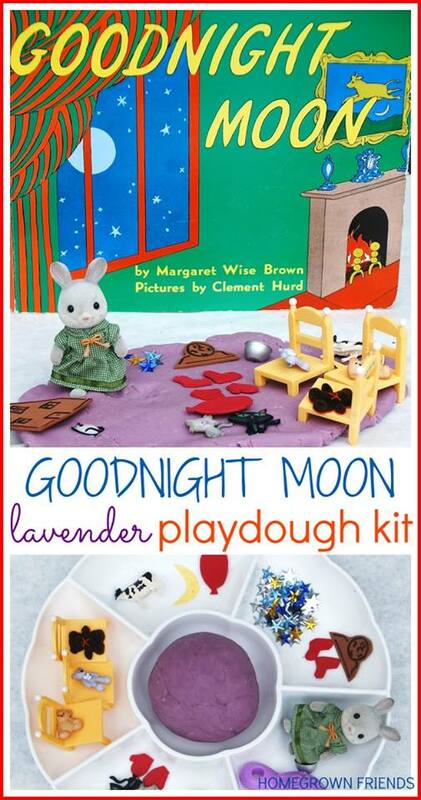 Goodnight Moon by Margaret Wise Brown is one of those books that we read over and over again. Each time, the kids will sit mesmerized as I read the quiet rhyming words. This is definitely a bedtime book that is loved at all times of the day! When we read through the book, my kids love to look for each item on the pages and find it's rhyme. It's almost like a memory game as you read through the book, especially as the mouse moves around the room in the book. 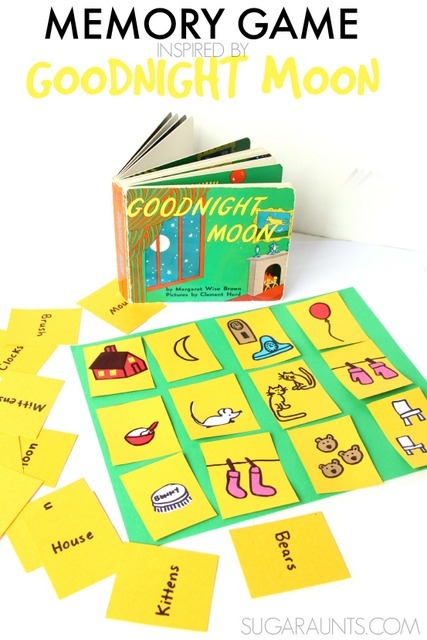 To make your Goodnight Moon memory game, grab a couple of pieces of card stock . 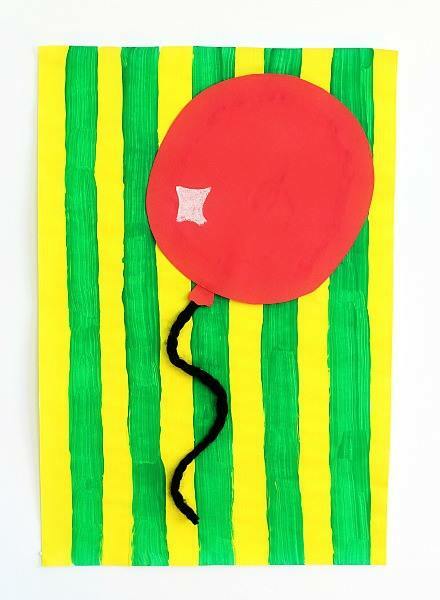 We chose brightly colors based on the colors of the book. Because the setting occurs in a green room, we used green paper for our playing board. 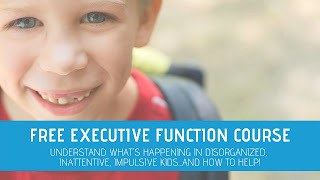 You could certainly play this memory game right on a table or floor, but my kids got a kick out of our "green room" and the green paper contained the game for our matches. 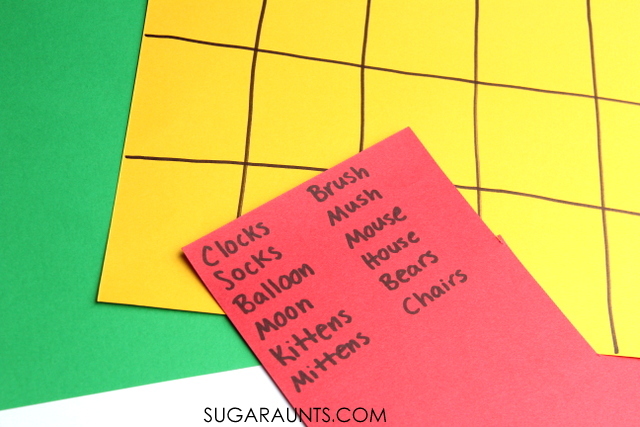 Make a list of all of the rhyming words as you go through the book. 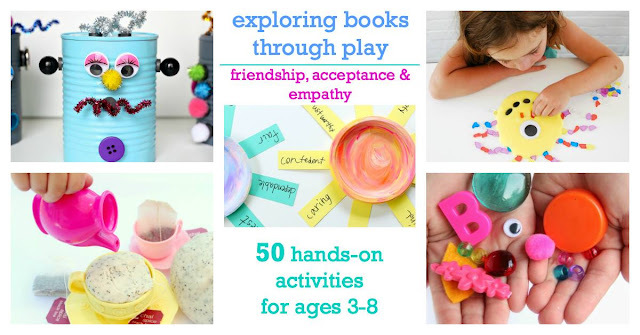 This is a great activity for preschool aged children. As you read the book, ask them what rhymes with each word. They can use the book pages as a visual cue to the matching rhyme. Fill in your game pieces with your own drawings (or kid-drawings!) 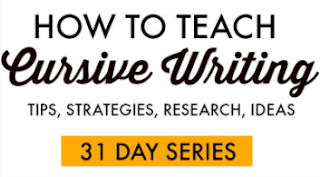 or use our free printable. 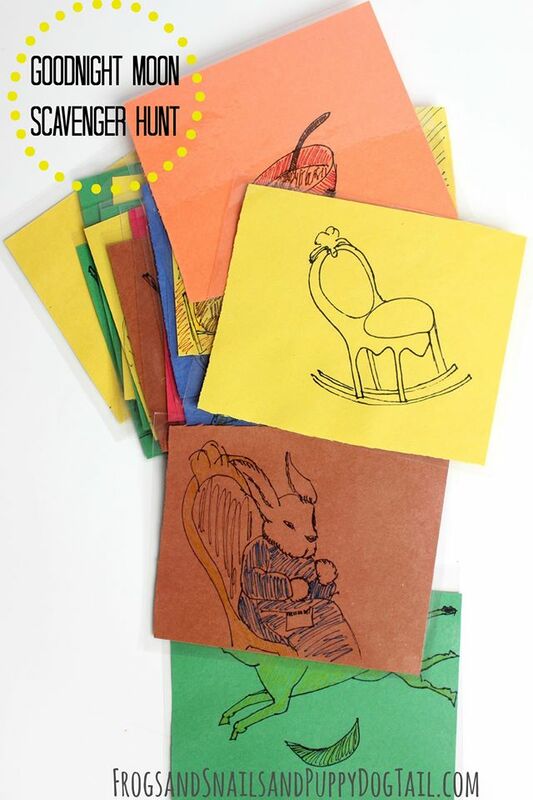 Draw your own pictures on the blank picture card printable. 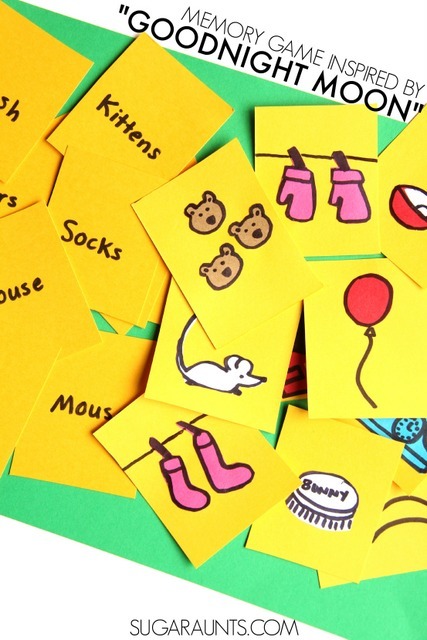 OR, use our picture word card printable. We drew a picture for each rhyme and filled in another card sheet with the written words. 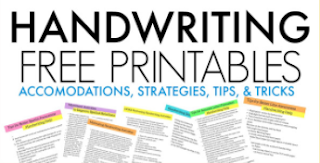 We also created a free printable for the words. 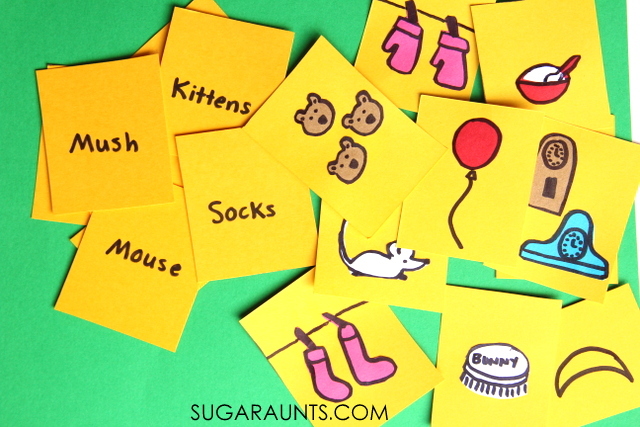 You can print the printable word cards here. Cut out each block and get ready to play. We started with a few matching games. I placed the written word on our green room paper and had the kids scan the pile of pictures for the matching image. 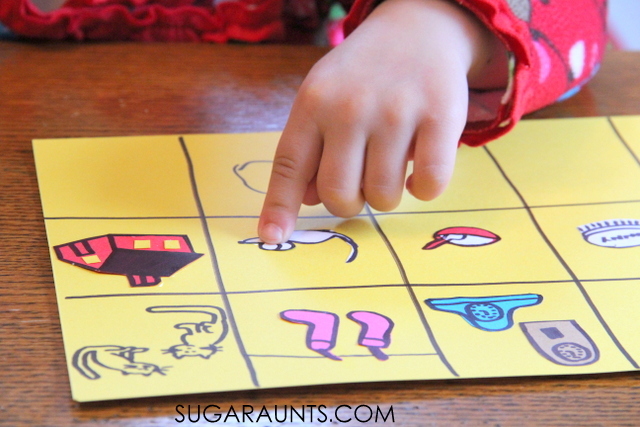 This is a great way to work on literacy skills as the child matches the picture to a written word, as well as on visual scanning. 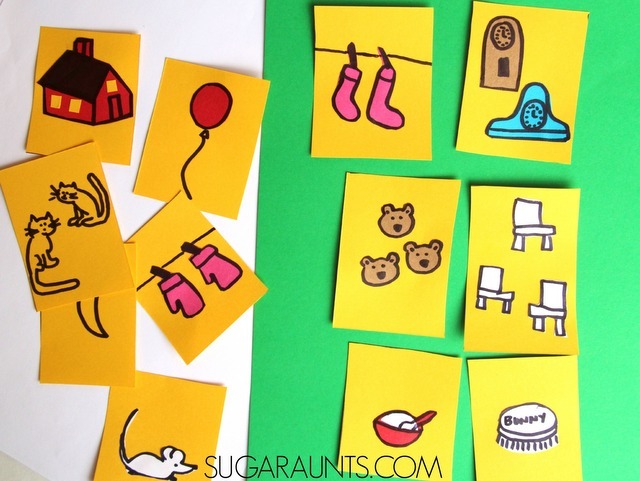 Arrange the cards from left to right as a pre-reading skill. We also matched rhyming words. 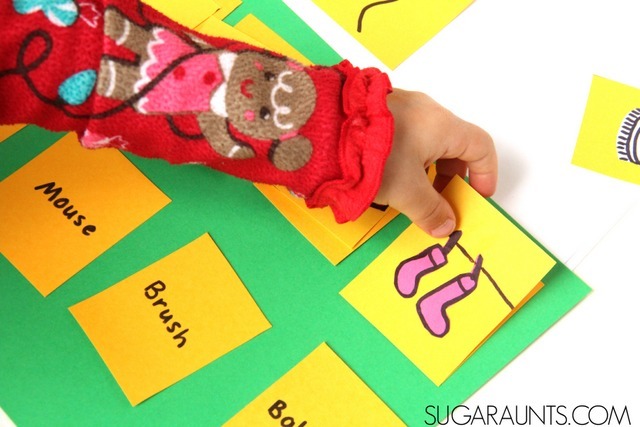 Arrange a few pictures on the left side of the page and have your child place the rhyming match to the right. We then arranged the words in a block formation on the green paper. The kids scanned the pile of pictures and placed the matches together. After all of our rhyming games, we played an actual Memory game. 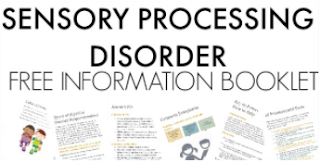 You can also modify the memory game to extend out the activity. Match word to picture, rhyming pictures, and rhyming words. 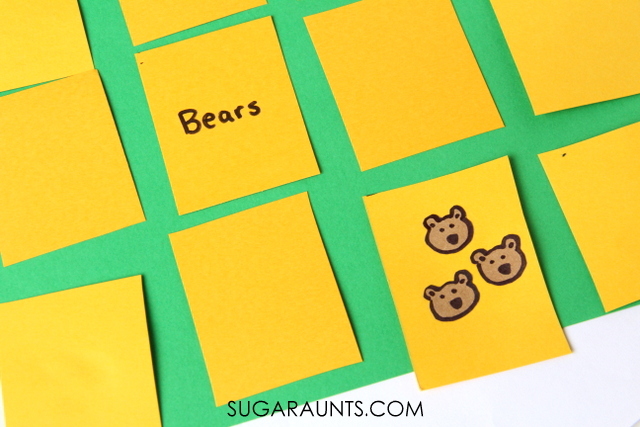 This DIY Memory game can be played in so many ways! 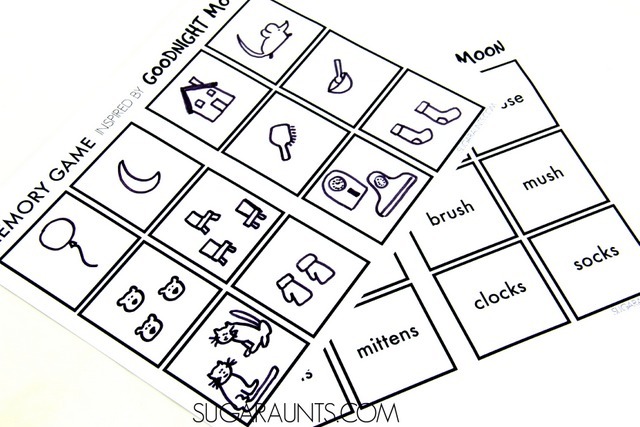 Goodnight Moon inspired memory game blank game pieces. 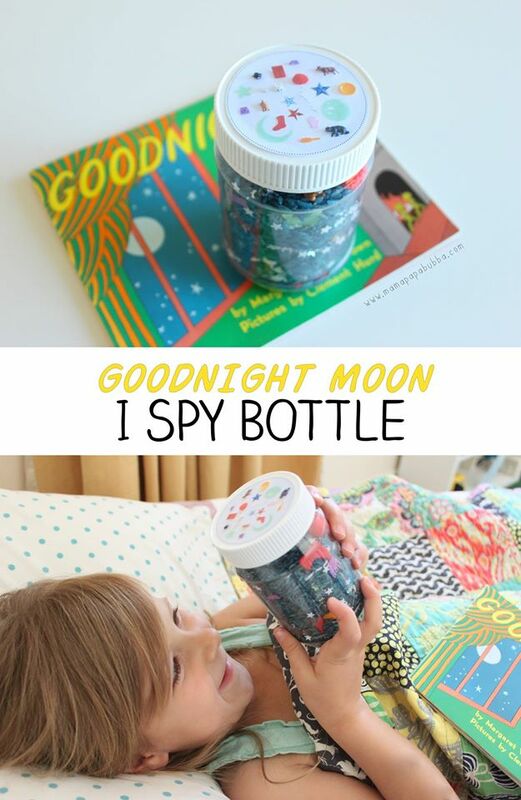 Goodnight Moon inspired picture game pieces. 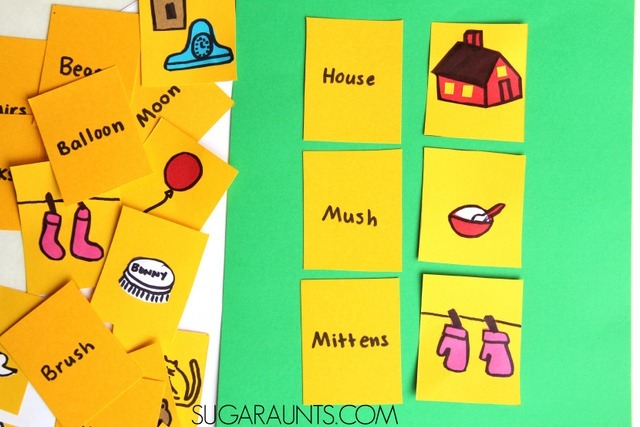 Goodnight Moon inspired word game pieces.